Cape Bojeador Lighthouse (Burgos Lighthouse) is situated in Burgos, Ilocos Norte. It is a cultural heritage that was erected during the Spanish era in the Philippines. It's a 66-foot-tall octagonal stone tower on Vigia de Nagpartian Hill with an overlooking scene of Cape Bojeador. This lighthouse was first designed by Magin Pers and Pers in 1887 and finished by the Lighthouse Service under Guillermo Brockman. The lighthouse is made up of bricks, the tower is topped with a bronze cupola then the gallery is surrounded by iron grills in different formations. 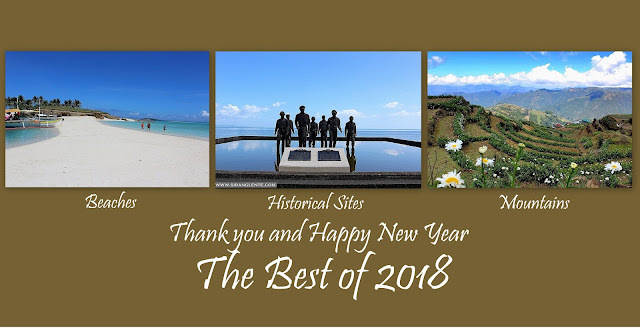 This site was first lit on March 30, 1892, but as of right now, it is more than a century years old yet it is still working and still serving as a guide to every ship that enters the Philippines. Photos below will give you idea about this old looking structure, the whole structure of this lighthouse is covered with rust-like color that makes the structure old-looking. The stairs going up to the main entrance of the lighthouse somehow have damages, maybe because of its age. On the side and rear part of the lighthouse is a cliff with trees that covers the area from strong wind and other possibilities like the thieves. There are two gates entering the structure; one from the entrance and one on the right side. There is an open space upon entering the main building. Two stair cases can also be found beside the open space. That stair case connects the main building to the tower. The history of this heritage site can be found in the entrance area and engraved on an iron plates. Ghost stories spread online.